Overall success in retail and wholesale business is based on your ability to have the products your customer want – when they want them. In order to get the best results, business owners need to continuously monitor stock levels and sales results, correctly anticipate re-order time and amounts. All too often, business owners feel they have to compromise the best results in order to have a simple system to manage. A large percentage of Backorders, Overstock and product obsolescence issues stem from these compromises. HYDRA Inventory management integrates sales transactions, stock levels, re-order times, to trigger re-orders - just in time – allowing you to significantly reduce your overall inventory investment. 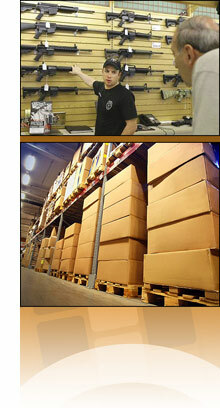 "Maintaining accurate inventory counts are critical to keeping product on hand, and meeting customer demand. HYDRA has taken the guesswork out of reordering, now I can see exactly what I need and when." - Purchasing Manager, PMP Industries Inc.